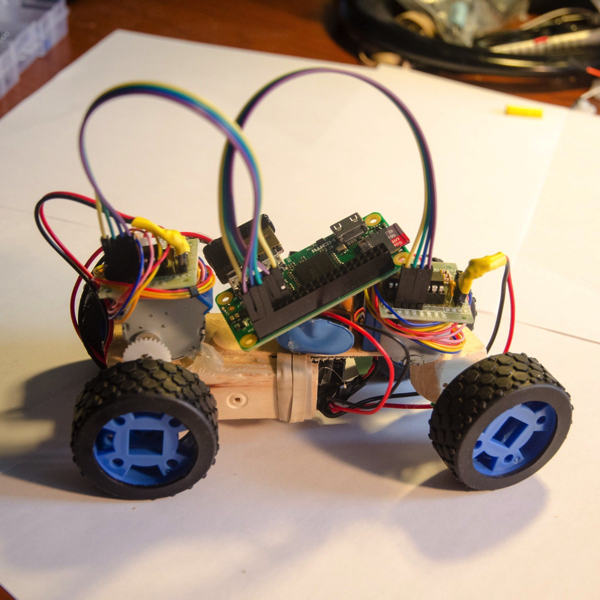 RoboCar Zero #piday #raspberrypi #pizero @Raspberry_Pi « Adafruit Industries – Makers, hackers, artists, designers and engineers! The 9V battery feeds the two stepper-motor drivers. The headless RPiZero is fed through a simple 5V voltage regulator + capacitors. I use 8 GPIO to control the stepper motors through a Python script. The body is a piece of wood and I used a lot of hot glue.